If you are like me who is eagerly waiting for Jessica Sanchez's debut album to come out, then you are in luck. The American Idol Season 11 runner-up is out of her shell and is ready to break into the music scene with storm power. After growing tired of Charice (no offense to her personally, but to her doomed fashion and image enhancement choices), I am very adamant to listen to new music by international Pinoy singers with powerful voices. And lo, Jessica will be releasing an album entitled Me, You & the Music, satiating my auditory hunger. Tonight was also premiered for the first time live on the Top 9 results show on of American Idol Season 12 last March 21, 2013. 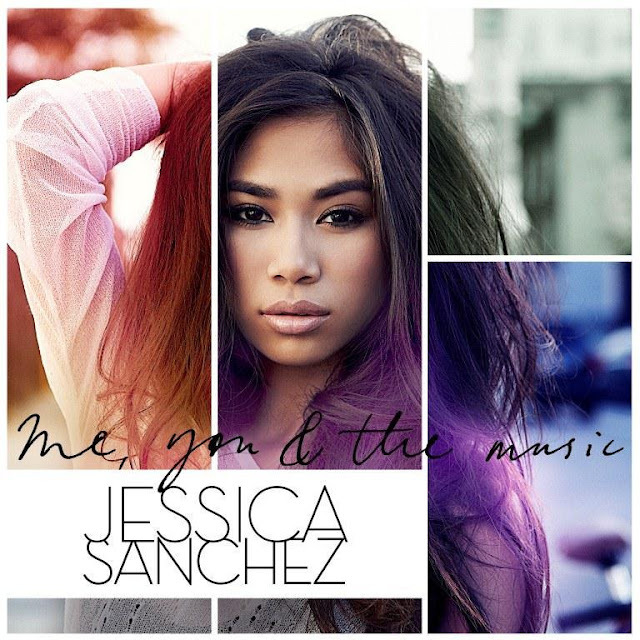 Me, You & the Music by Jessica Sanchez will be released on April 30, 2013 under Interscope Records and 19 Entertainment.